In “Parrot” I use ink and graphite drawing to explore the image as an imperfect copy. Original subjects are first captured with video, then transformed with line and washes into abstract echoes. 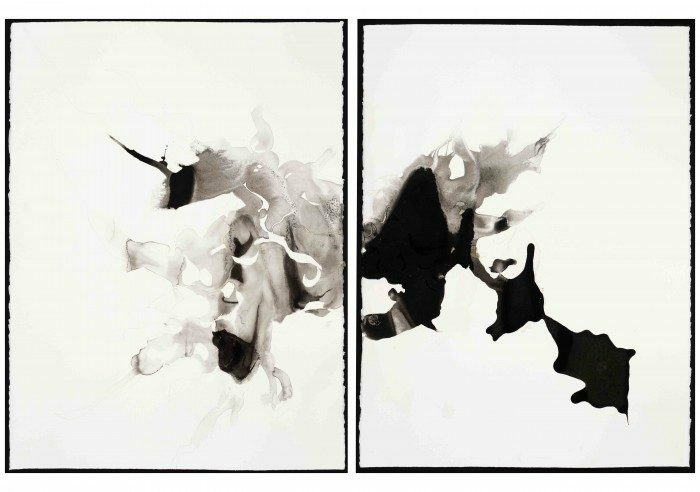 The show is presented as a series of diptychs, allowing the viewer to meditate on two reflections and fill the void in between. Aaron Brady, "Parrot 9" and "Parrot 10"